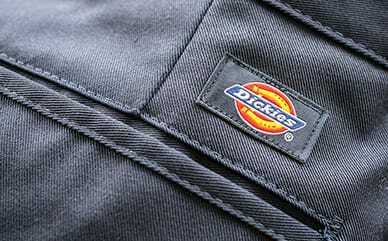 Keep it basic with the monotone colors on Dickies’ Women’s '67 Dickies Logo Tee. Made with a solid logo on a neutral shirt, this helps one of your favorite brands stand out, while blending in with the crowd. The polyester/cotton fabric is a soft jersey material that is also much stronger and long lasting than an all-cotton tee.